Cosy and light-flooded apartments at the foot of Mt. Schlern, countless offers for active holidays, garden with a unique panoramic view. 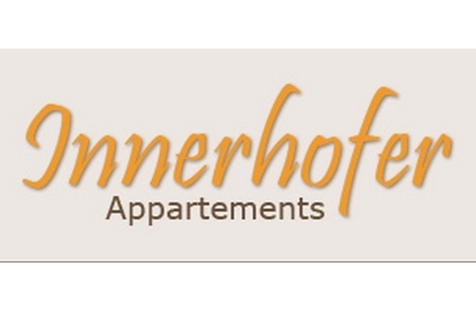 Welcome to Apartments Innerhofer in Kastelruth! Our Apartments Innerhofer in Kastelruth are located in a quiet position with magnificent panoramic view. 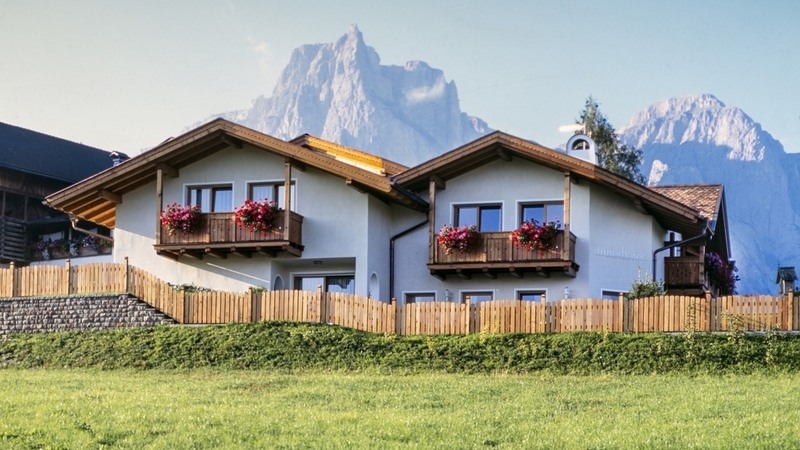 The village centre is located only 5 minutes on foot from the apartments and Seiser Alm – the largest high-alpine pasture in Europe – can be reached within only a few minutes. For our guests, we offer 4 cosy and light-flooded apartments for 2-4 persons. The apartments are characterised by a warm and inviting ambiance. They offer wooden floors, wooden furniture, a living room with kitchenette, a separate bathroom and a balcony with a wonderful view. In the living room, you will find a dishwasher, a coffee machine, a taster and a water boiler. Bed linen, bath and kitchen towels are available. Pets are allowed on request. For each apart, there is one free parking lot in our underground garage. In our garden, you can relax and enjoy the magnificent view of the mountains in the environs. Right behind the house, in winter, there I Marinzen ski area which is ideal for families with kids. The cableway to Seiser Alm is located only 3 km form our house and can be easily and quickly reached by car or with our shuttle bus. On Seiser Alm, you will also look forward to many ski runs, cross-country ski runs. Toboggan runs and winter hiking paths during the cold months. In summer, the sunny high plateau at the foot of Mt. Schlern offers 300 km of hiking paths, climbing parks, bike tours, riding stables and much more. The comfortable and bright apartment furnished with solid wood and parquet floor, measures 47 m² and offers place for 2-3 people. It has a spacious south/west balcony. Bed- and living room separated. The living-kitchen has a comfortable sofa-bed for the third person, a corner seat, an armchair, a radio with CD, flat screen TV, safe and internet connection. The kitchenette is completely equipped with dishwasher, coffee machine, water boiler, toaster, etc. Laundry (bedroom, bath, kitchen) at your disposal. We have a beautiful garden for our guests. Each apartment has a free parking place in our parking garage at its disposal. Pets on request. The comfortable apartment, for 2-4 people, furnished with solid wood and parquet floor measures 50 m² and has a balcony with a marvellous view of the village Castelrotto and the surrounding meadows. Bed- and living room separated. The living-kitchen is provided with a double sofa-bed, two armchairs, a comfortable corner seat, flat screen TV, radio with CD, safe and internet connection. The kitchenette is completely equipped with dishwasher, coffee machine, water boiler, toaster, etc. Laundry (bedroom, bath, kitchen) at your disposal. We have a beautiful garden for our guests. Each apartment has a free parking place in our parking garage at its disposal. Pets on request. The pleasant apartment, for 2-4 people, furnished with solid wood and parquet floor measures 50 m² and has a balcony with a breathtaking panoramic view. Bed room, living room and kitchen separated. The living room is provided with a sofa-bed, an armchair, a comfortable corner seat, radio, safe, flat screen TV and internet connection. The kitchen is completely equipped with dishwasher, coffee machine, water boiler, toaster, etc. Laundry (bedroom, bath, kitchen) at your disposal. We have a beautiful garden for our guests. Each apartment has a free parking place in our parking garage at its disposal. Pets on request. The beautiful and bright apartment, for 2-4 people, furnished with solid wood and parquet floor measures 50 m² and has a balcony with a breathtaking panoramic view. Bed- and living room separated. Spacious kitchen completely furnished with dishwasher, coffee machine, water boiler, toaster, etc. The living-kitchen is provided with a double sofa-bed, an armchair, flat screen TV, radio, safe, a comfortable corner seat and internet connection. Laundry (bedroom, bath, kitchen) at your disposal. We have a beautiful garden for our guests. Each apartment has a free parking place in our parking garage at its disposal. Pets on request. Gratis Skibus, Sunshade, Deckchair, Ski depot in the house, Pets allowed, Baggage storage, Quiet position, Shops in the environs, above 1000 m a.s.l.